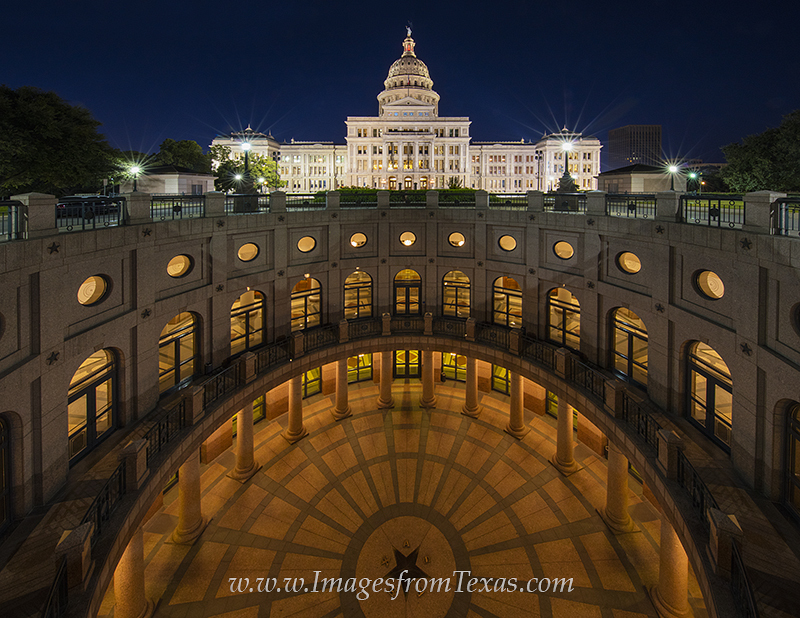 Taken with a wide angle lens, this image of the Texas Capitol in downtown Austin shows a vew from looking south about an hour before sunrise. On this September morning, the air was perfectly still and the light was beautiful as the sun later warmed the historic pink granite landmark. Photo © copyright by Rob Greebon.